Flying the flag for New Zealand at Frankfurt this year was never going to have the turnout that our year as Guest of Honour inspired. But there’s a recognised list of long stayers and new companies turning out to capitalise on opportunities that have opened – now Europe has realised that While They Were Sleeping … Kiwis were creating great books. AUP will be represented by Sam Elworthy, Calico Publishing by Linda Cassells, VUP by Fergus Barrowman, Oratia Media by Peter Dowling and Beatnik Publishing by Sally Greer. Educational publishers attending are Tracy Strudley for Global Education Systems, Sandy Roydhouse for Clean Slate Press, Nicola Smith for Essential Resources and Kathy Ferrier for Lanky Hippo. Carrying the flag for children’s books are Gecko Press’ Julia Marshall and Mark Sommerset of Dreamboat Books. Bill Geradts will introduce Beyond Reality Media who specialise in graphic novels and comics. Also part of the New Zealand stand are displays by Random House NZ, Mayhem, who own many Margaret Mahy rights, and the Creative New Zealand translation programme. Anne de Lautour reports: Tony Ropata and his team will be constructing the stand – currently stored in Frankfurt – from Saturday 5 October. Stand size is 112sqm, and is on the same site as last year though a smaller area. No modified container this time but we have the panels, extra tables and the long breakfast bar table so we will be swish. Sarah Ropata (who may be helping with the construction too), is there to organise the stand party and manage guest NZ author, Carl Nixon. We are very happy that once again, the lovely Christiane Geipert-Arheilger will be our efficient, smiling and bi-lingual receptionist. 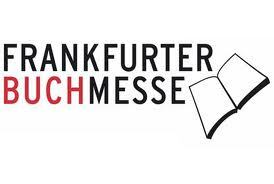 Wednesday 9 October at 8.15am: Opening breakfast on NZ Stand with guests: German publishers Stefan and Barbara Weidle, Taiwan publisher, Emily Chuang and Taiwan agent, Gray Tan.